Israeli historian Yigal Kipnis delves deep into the Israeli and American archives and reveals in this book that the big October 1973 war between Israel and its Arab neighbors could almost certainly have been avoided. Avoided, that is, if in the months preceding October 1973, Israeli Prime Minister Golda Meir, who was facing elections, had not been so determined to block the ongoing peace negotiations with Egypt, and if U.S. Secretary of State Henry Kissinger (despite his misgivings) had not backed up her diplomatic hard line. Kipnis contradicts the conventional wisdom, arguing convincingly that it was Israeli political intransigence, not a failure of Israel’s military intelligence, that set the stage for the 1973 war.The Hebrew-language original of 1973: The Road to War made great waves when it was published in Israel. 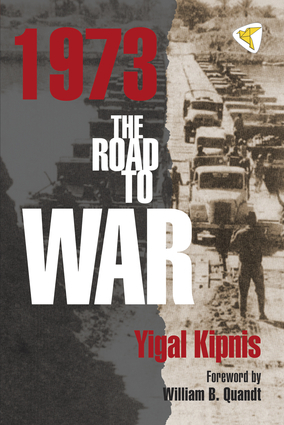 Yigal Kipnis, author of 1973: The Road to War, is an Israeli historian who has been a farmer and resident of the Golan Heights since 1978. He is a professor at the University of Haifa where he researches the settlement geography and political history of Israel. His first book translated into English was The Golan Heights: Political History, Settlement and Geography since 1949 (Routledge, 2013).